After augmented reality, virtual reality will be the next big thing in the coming years. After augmented reality, virtual reality will be the next big thing in the coming years. Experience sights and sounds through gadgets. It is a computer stimulated environment that can simulate physical presence in places in the real as well as imaginary world. Example: The Virtual Reality headset by Oculus Rift. Also, Virtuix Omni is working on a virtual reality treadmill. Till now, this technology was popular in the gaming segment, but will now be used in entrainment and health space, too. I first saw an 8K display from Sharp at the Consumer Electronics Show, Las Vegas in 2013. That was the year when everyone started talking about 4K, and in 2014, 4K was the talk of the town. While the 4K displays were expensive, but are getting affordable now, the focus this year will be on 8K panels, too. 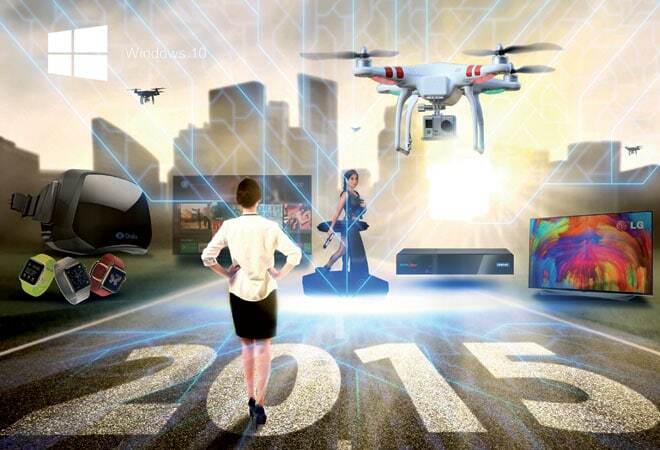 An array of 8K TVs are likely to be the scene stealers at CES 2015. At a press event in Europe, Philips declared it believes 8K screens would be available to consumers by 2016. The 8K UHD has 7680Ã—4320 resolution. Quantum-dots is another fancy name that you will hear a lot. This technology will basically add an extra wide range of colours in the display panel. A layer of nanoparticles is inserted between the display's backlight and colour filters. 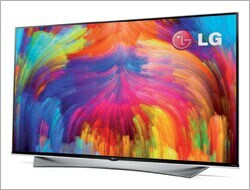 LG has already announced its QD-equipped 4K TV. 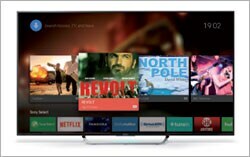 Samsung and Sony too are expected to announce TVs on the same lines. Even Kindle Fire HDX tablets might have the same technology. Android operating system is going to be big - from smartphones to tablets to laptops and now TVs, too. Google has unveiled an Android TV, a smart platform running on Android 5.0 (Lollipop) OS that can create interactive TV experience. The launch of more Android TVs will be announced in the coming months. It isn't like the Chromecast that requires a smartphone or a tablet to work. Indeed, the TV will be able to access thousands of games and apps from the Google Play Store. The developer kits for Android TV were already made available and we expect a lot of Android TVs to be launched in the coming year. Gaming and TVs go hand in hand. This year, there will be a new breed of smart TVs that will be have in-built gaming and will be compatible with consoles directly. For instance, Samsung's latest Smart TVs will have access to PlayStation Now service in the first half of 2015. This means Samsung TV owners will be able to play PS3 games without the console. 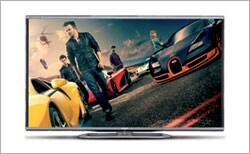 Philips has already launched a TV in Europe that supports online gaming service. Toshiba's Android TV will be compatible with consoles for playing games. There was a lot of action in the wearable space last year. Everyone tried to play in this segment but all we got were over dozens of fitness bands and smartwatches. The trend for wearable will continue this year. HTC is all set to venture into wearables space with a wrist worn device. 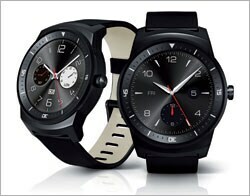 LG might unveil its G Watch R2. There is a Narrative Clip, which is a small wearable camera that weighs just 20 grams and is equipped with Bluetooth and Wi-Fi for automatically uploading the shots via apps. HearNotes wireless headphones are based on a technology called Kleer, which promises superior sound quality to Bluetooth. Sony will also showcase its epaper smartwatch called FES Watch. Laptops aren't going to die. They will very much exist. But the action will be in the 2-in-1 space where we will see more of convertible gadgets coming in as they serve dual purpose of a tablet and a laptop. This also eliminates the need of investing in two individual gadgets. Drones were popular in 2014. Companies such as Amazon and DHL revealed their plans of using Drones. In India, too, we saw some action around this. 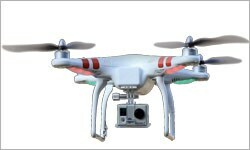 This technology is set to go further as GoPro is expected to have its own camera-toting quadcopter in 2015. Interestingly, anyone with a smartphone can operate a drone as it doesn't need any special equipment to operate. 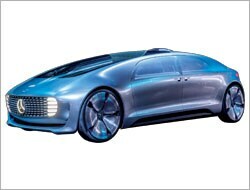 In the last couple of years, car companies have also showcased new, upcoming technologies at the CES, Las Vegas. This year, once again, connected cars will be the key trend to look out for. Vehicles with touchscreens dashboards and controlled by smartwatches will be seen at the show. A few luxury carmakers will show fully automated valet car parking technology where driver gets out of his car and issues a command through the smartwatch. In 2014, Apple stepped into the phablet game with its iPhone 6 Plus that had a 5.5-inch display. 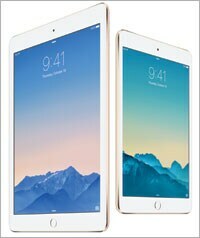 The rumour mill says that Apple is working on a bigger version of its popular tablet. The suggested iPad Pro will have a display measuring between 12.2 and 12.9 inches, and will have the A8x processor. Other specifications include iOS 8 platform, Touch ID and 2 GB RAM. Skipping Windows 9, Microsoft has revealed its plans about Windows 10 operating system. While anyone can download and try early versions of the OS, the consumer preview will be available in 2015. With Windows 10, Microsoft is looking at "one platform for all devices", which means, the basic OS will be the same for tablets, laptops, Windows smartphones and even the Xbox one console. In 2015, Sony will launch the Xperia Z4 tablet and Xperia Z4 compact smartphone. The Xperia Z4 Tablet Ultra is likely to feature a 12.9-inch display with 3840x2400 pixel resolution and will be 8.6 mm thin. It is also likely to have 6 GB RAM, twice the 3G RAM we have in the high-end devices. The Xperia Z4 Compact will have a 4.8-inch HD display and will pack Qualcomm's Snapdragon 805 SoC and Adreno 420 graphics chipset paired with 3 GB RAM, 32 GB internal storage and up to 128 GB expandable memory support. Ever since it was unveiled last year, it is one gadget everyone has been waiting for. Apple hasn't announced a firm launch date for the Watch but it will be out in 'early 2015'. 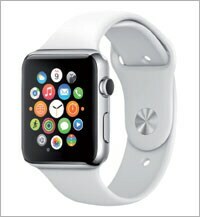 The Apple Watch is expected to begin at a price point of $349 and has got a digital crown for navigation. We don't have all the details about the watch yet, but it will be compatible only with Apple iPhones. Undoubtedly, the Samsung Galaxy S5 was a great device but it wasn't a big hit anywhere. But this doesn't mean that the Galaxy S6 won't be any good. Rumour suggests that the Galaxy S6 will be a combination of the great looks of the Galaxy Alpha and high end specs of the S5. 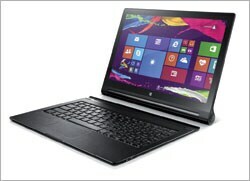 It might have a thin, curved metal chassis. A 64-bit CPU processor and Android Lollipop are also on the cards. 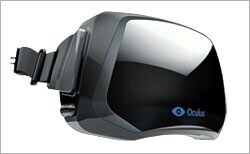 With virtual reality being a big thing in the coming year, Oculus will be realising its new gadget, Rift. This is the new virtual reality headset that lets players step inside their favourite games and virtual worlds. It uses custom tracking technology to provide ultra-low latency 360-degree head tracking, allowing you to seamlessly look around the virtual world just as you would in real life. Every subtle movement of the head is tracked in real time creating a natural and intuitive experience. It even creates a stereoscopic 3D view with excellent depth, scale, and parallax. 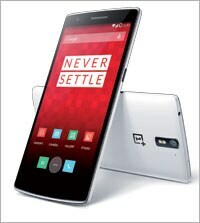 Chinese smartphone OnePlus One offered high end specs at half the price of flagship smartphones. It was really popular across the world. In 2015, OnePlus will launch the successor, which will be known as the 'Two'. This smartphone is likely to feature a 5.5-inch 1080p display, along with Snapdragon 805 processor, a 16 MP rear camera, 5 MP front facing camera, 3 GB RAM and a 3300 mAh battery. 4K or Ultra-HD resolution was the talk of 2014. But the 4K displays were priced exorbitantly. As 4K displays are going to get affordable in the coming year, Tata Sky is gearing to launch 4K set-top box. The same dish installed will transmit 4K channels when available by the broadcasters. Earlier, Tata Sky showcased the first-ever live telecast with 4K technology on SONY SIX HD using a 4K set-top box, in association with Multi Screen Media Private Ltd.